Some modems have routing capabilities that would allow you to share Internet connection between your computers. Install a switch to the modem to be able to connect Ethernet-based devices and share a single Internet connection. 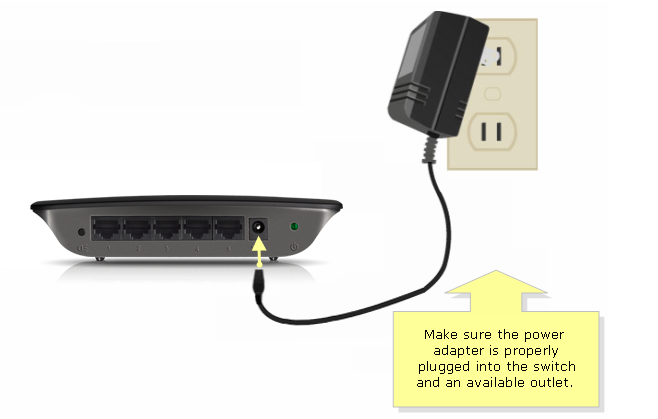 This article will guide you on how to check if the cable modem is properly connected to the switch. NOTE: Contact your Internet Service Provider to know if your DSL or Cable modem has router capability. Connect an Ethernet cable to the Ethernet port on the Broadband modem and connect the other end to one of the available numbered ports on the switch. NOTE: In this example, we used the SE1500 and the Broadband modem is connected to port number 2. Make sure the power adapter is plugged to a power outlet. The Linksys hub or switch’s front panel will indicate the status of the connection. To learn how to check the LEDs on your Linksys Switch, click here. NOTE: Some Ethernet switches have the LEDs placed at the back panel.